Yes, Sunday’s awful gut-wrenching loss to the Baltimore Ravens was as bad as gets for Steeler Nation. The team for the second time this year lost to its biggest rival, in a season in which now it appears evident they should have gone 2-0 against Baltimore. Now they are fighting for their postseason lives, and while it doesn’t look good, the road to getting to the postseason has been lucky for the Steelers in the past, historically lucky. 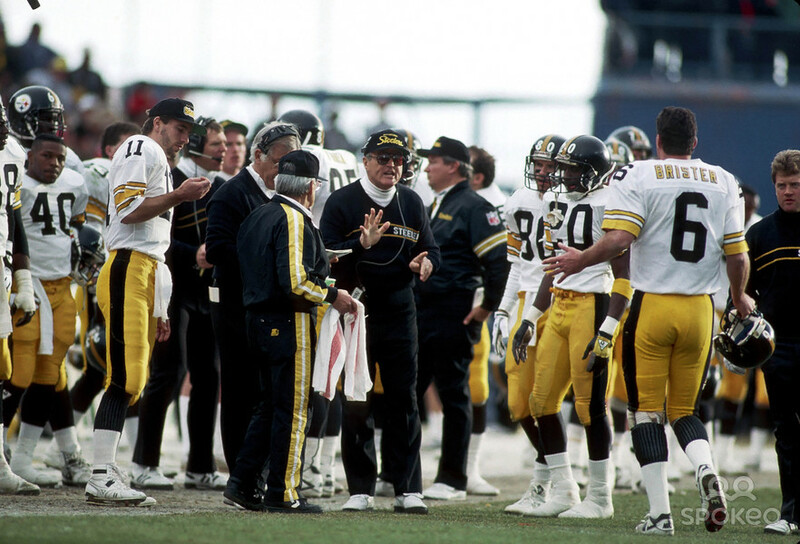 In two different playoff seasons, 1989 and 1993, the Steelers fought the odds, getting help from the outside while winning their final game of the year (1989 they beat Tampa Bay, while in 93 they topped the Browns at home). So while the task of beating a three-win Cleveland team should be easy (then again we thought that last week), the team only needs help from one other team – the Buffalo Bills. Yes, the same Bills team that already has beaten the Jets once, and that was on the road. Back to those improbable playoff runs. According to FootballGeography.com, the Steelers run in 1989, Chuck Noll’s last season as coach, was as tough as it could ever get when it comes to making the playoffs. That day they needed to win, and also have three or more other outcomes go their way – which it all did. The KC Chiefs, who are already in the postseason, is the only other team to overcome needing three outcomes in the final week go their way, pulling the feat off in 2006. That 89 season was Chuck Noll’s final playoff run as coach, and the team upset the Houston Oilers on New Year’s Eve, then took the Denver Broncos to the limit in a 24-23 playoff loss to end a memorable season. As far as 93 goes, the Steelers needed to win and get two other outcomes to happen, which again it did. They got in as the final wild card, only to lose to Joe Montana and the Chiefs in overtime. So don’t get too low yet Steeler Nation, it’s going to be an interesting day on Sunday, and here’s to hoping the one outcome other than their own they get, and they reach the NFL’s second season as the number six seed. 4 Comments on "The Steelers Road to the Playoffs: They Have Made it Before in Tougher Circumstances"
In the Ravens game Sunday I saw no fire , no intensity and a team that was looking to pack it in . In addition , Ben looked like he had somewhere else to be .That wont work in the playoffs . Even if they would squeak in with a Jets loss , the way the Steelers are playing today , they will be a first round exit . That hurts to say , but thats where they’re at . Noll’s last season was 1991. His last playoff season was 89. I do expect a Steeler win but the Jets are red hot and more deserving at this point. Shame on Over rated Tomlin and the under achieving culture he has created! Don’t forget 1990 when steelers went to Houston with a chance to clinch. Just beat a Warren Moon less Oiler team! What happened? Back up QB Cody Carlson shredded them. I remember that game very well in 1990 Mark, it was heartbreaking as the Steelers D was one of the best in the NFL that season – a young Greg Lloyd, an up and coming Rod Woodson, it was tough to see a backup beat them as badly as they did. With that, I think the team will rise up and easily beat the Browns who will again dump their coaching staff and maybe even their GM on Monday, but in the end, their arrogance in feeling they could throw their helmets on the field and beat their biggest rivals in the Ravens will be the reason they are at home for the playoffs after the Jets beat the Bills.